Disclosure: When you purchase a service or a product through our links, we sometimes earn a commission. Read More..
P.S. If you don’t want to go through this complicated steps, consider getting a web hosting. 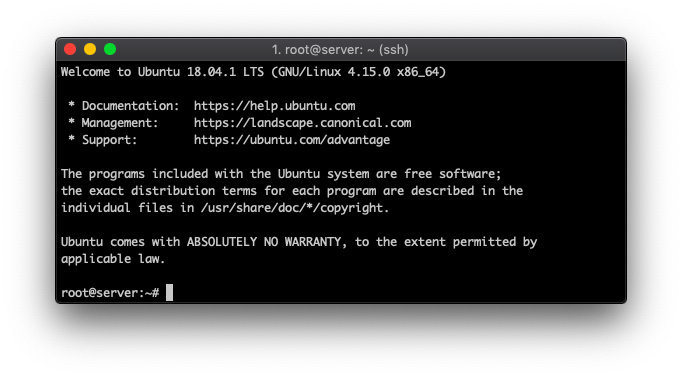 If you decide to rent a dedicated server or a VPS, you’ll first need to lay a solid foundation. 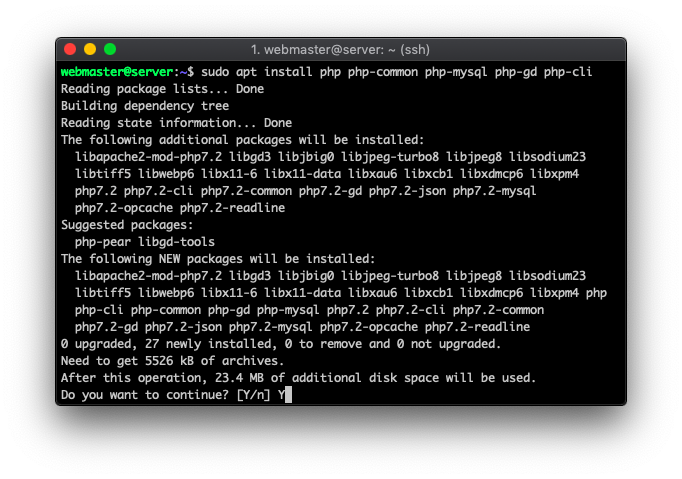 This involves accessing your server through a terminal or an SSH client and making security tweaks and updates. When connecting for the first time, you may be prompted to add your server IP to the list of known hosts. Type in yes to proceed and you’ll then be prompted to enter the root password. Here’s an example of what you should see on your screen if everything went right. 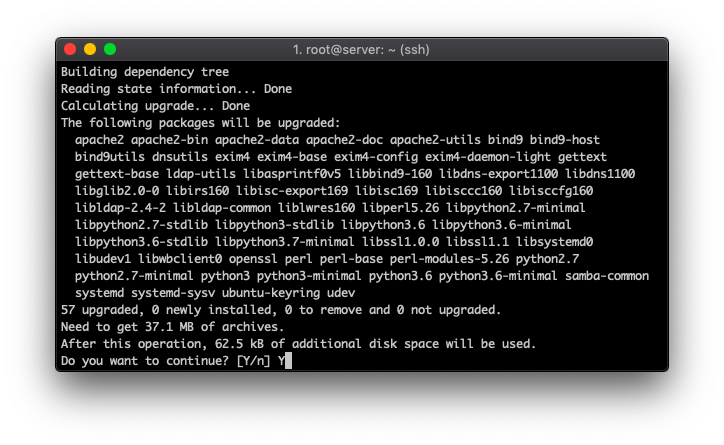 When running the second command, you’ll see a confirmation screen. Type in Y to proceed. Once you create a password, you’ll be prompted to enter the general details (which you can leave blank). Then, type in Y to confirm the new user creation. Using a password to authenticate leaves you vulnerable to brute-force attempts and puts your server in a moderate risk (especially if you’re lazy to set up a unique and strong password). You’ll be asked to enter an additional passphrase and the location of where to save the public key. By default, it saves everything to /Users/Your_User/.ssh directory (which you can keep unless you have other plans in mind). Finally, you’ll need to login to your server again. 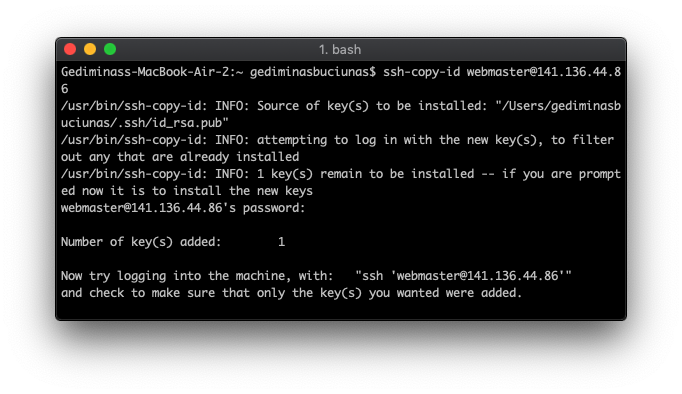 Only this time, you’ll be using the SSH key and its passphrase to authenticate. If your password is guessed by someone, they will be unable to log in, as the public key is required to make a successful connection. And that’s it! You’ll now use a public key to authenticate instead of a password, which is considered a more secure way to access and manage a server. To make a new DNS zone, we’ll be using a tool called bind9. In the end, this is the service that allows us to load a website through a domain name instead of an IP address. Let’s create a new DNS zone file for our domain. We’ll be using domain-example.com for demonstration purposes (you should replace it with your actual domain name). domain-example.com. 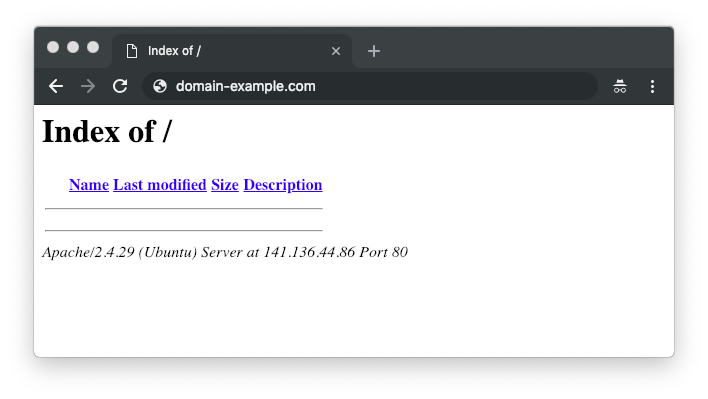 IN      MX      10      domain-example.com. Make sure to replace all instances of your Your_Server_IP and domain-example.com with the actual values. Save the zone file by pressing CTRL+X and then typing Y to confirm the changes. Next up, we’ll need to edit the local configuration and specify the location of our newly created DNS zone. This ensures that the server knows which zone file belongs to which domain name. Paste down the following lines at the bottom of the file while replacing domain-example.com with your actual website address. Press CTRL+X and input Y to save your changes and exit the nano editor. At this point, the DNS zone is ready from your server side. To finalize it, you’ll need to create custom nameservers entries within your domain registrar. 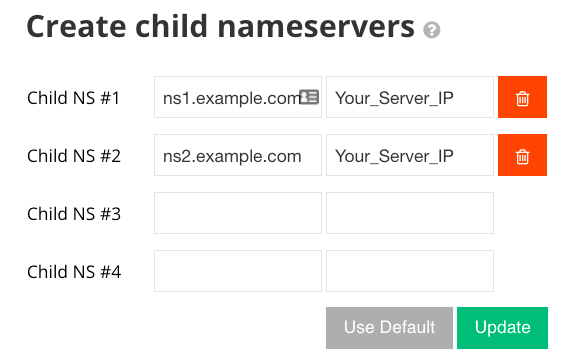 Since we specified two nameservers (ns1.domain-example.com and ns2.domain-example.com) in our DNS zone example, we’ll need to create these entries at the domain registrar and use them. 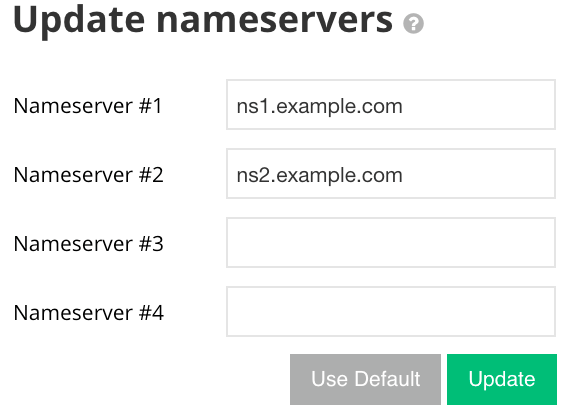 Once created, you’ll need to point your domain to these new nameservers. 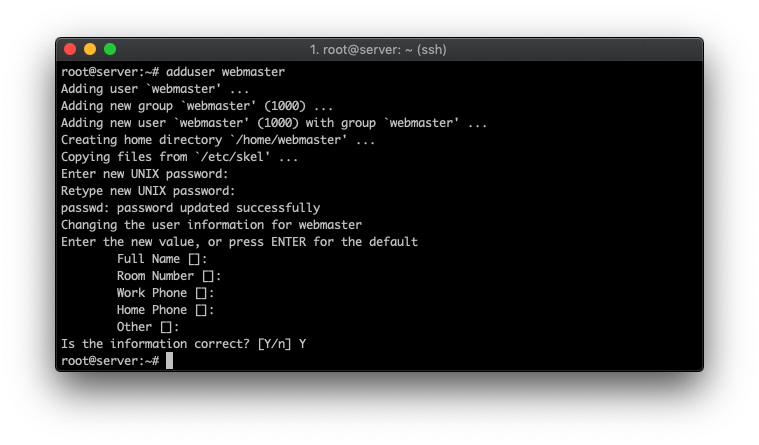 At the very first step, you’ll be asked to provide the root MySQL password. Press the Enter button to continue as it’s not created yet. 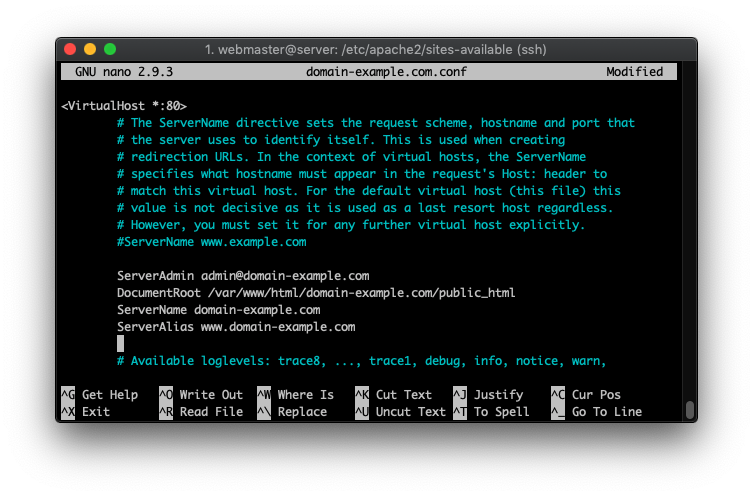 Then follow the rest of the instructions that pop up in the command line interface. # value is not decisive as it is used as a last resort host regardless. # However, you must set it for any further virtual host explicitly. # error, crit, alert, emerg. # after it has been globally disabled with "a2disconf". 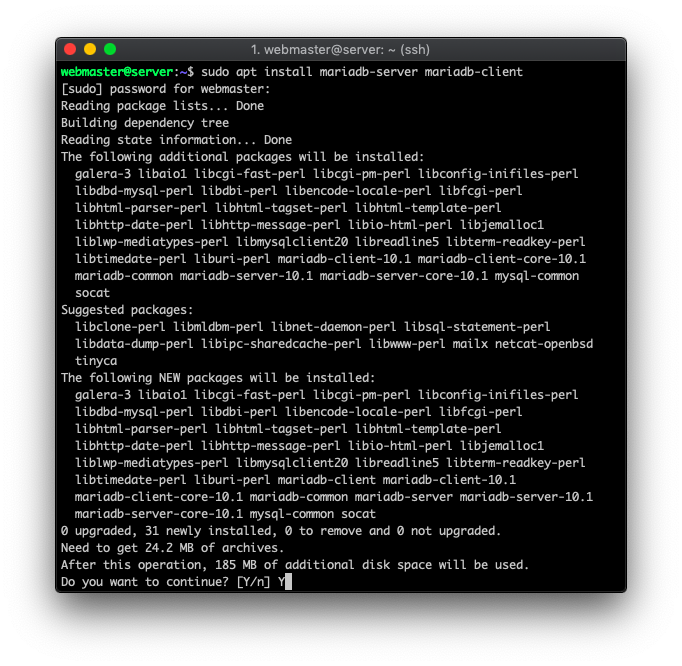 You successfully installed LAMP on your server. Since your domain is already pointed to the server, you may need to wait a few hours for the DNS to fully propagate. Then you should see a similar screen when visiting your domain through the browser. Since the initial server setup is finally complete, it’s time to host a website on it. In this section, we’ll show you a generalized example of how to get a WordPress site up and running. 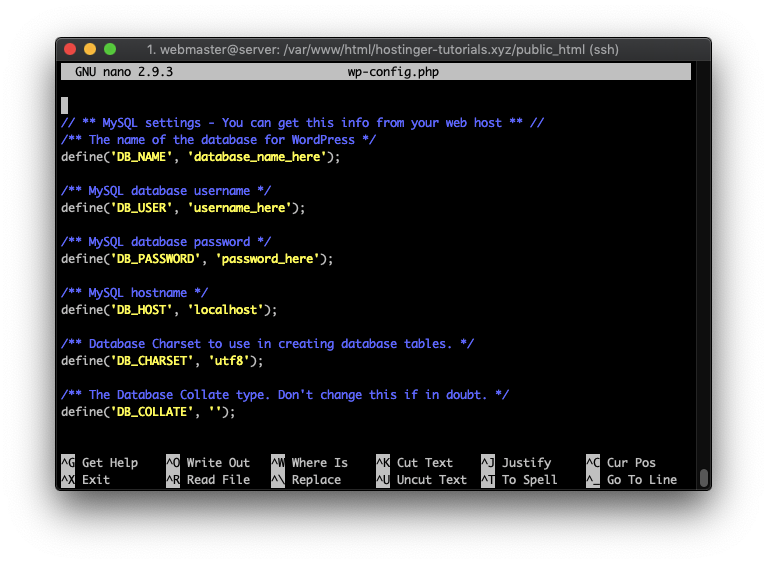 Then, edit the file using nano and add the MySQL database configuration details. Make sure to update the MySQL User, Database, and Host sections with the values that you created previously. Lastly, visit your domain name in the browser and you’ll see the initial WordPress setup screen. 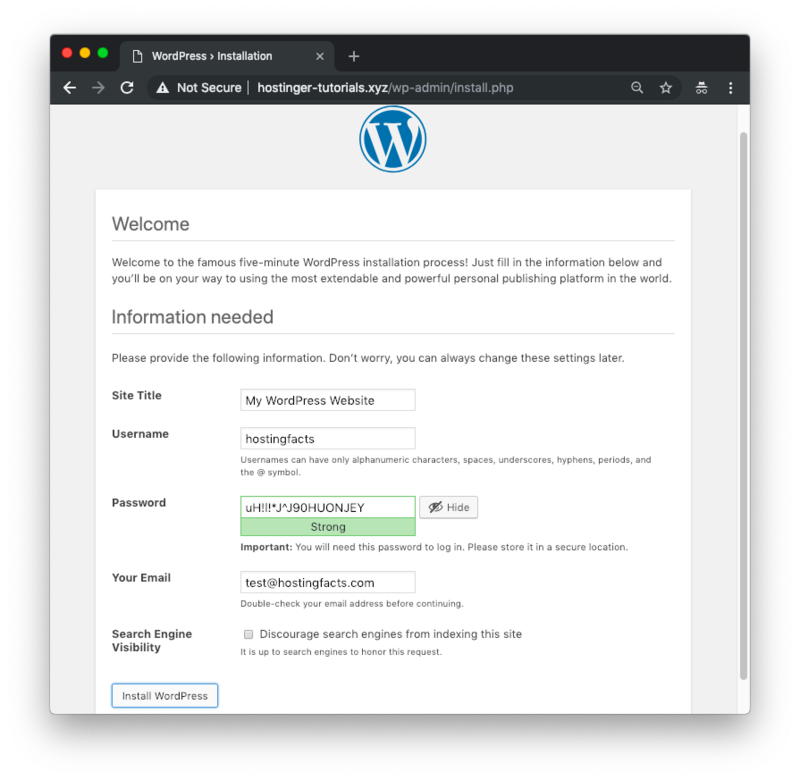 Once you finish it, you can install a migration plugin such as All-in-One WP Migration to import an existing WordPress website. 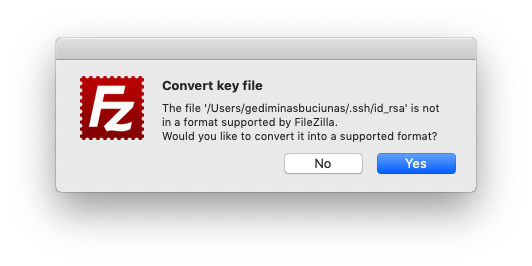 Go to FileZilla Site Manager and add a New Site. 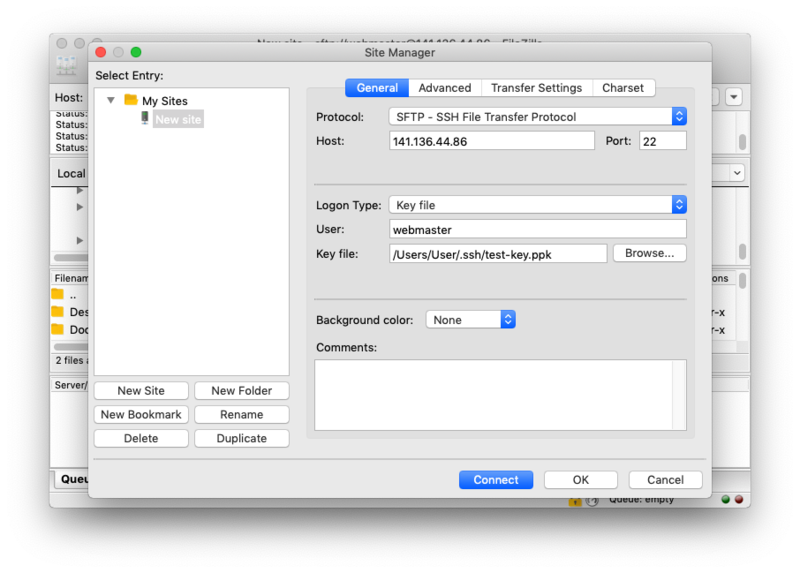 Set the protocol to SFTP – SSH File Transfer Protocol. 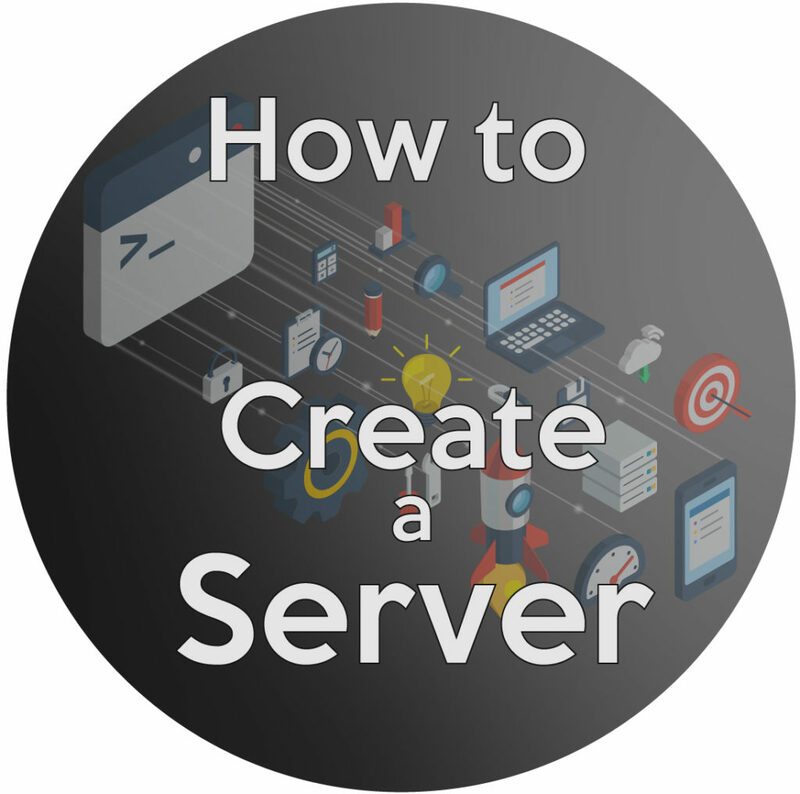 Enter your server IP in the Host field and set the port to 22. Set the login type to Key file. 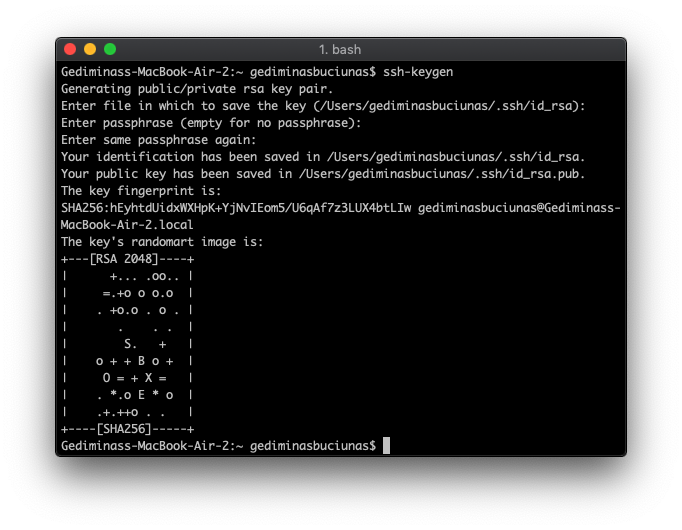 Specify the path to your SSH key (e.g. /Users/Name/.ssh/id_rsa). 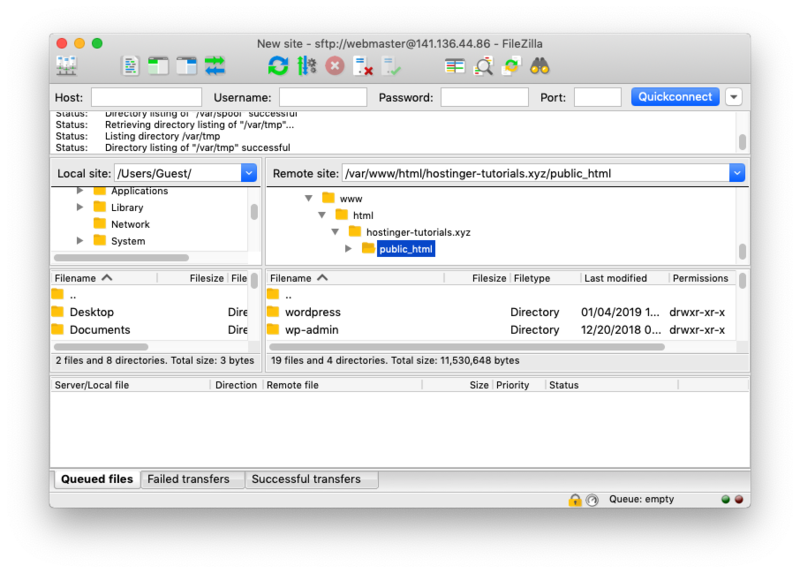 FileZilla will convert it into a .ppk file, which you can then use to make a connection. Now, you’ll be able to access your server via FTP and upload any files directly from your computer. Congratulations! 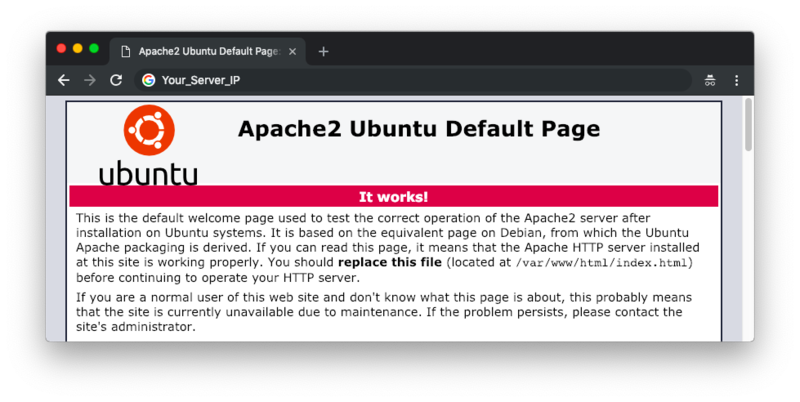 You’ve learned how to host a website on a virtual private server running Ubuntu 18.04. Everything from the initial server setup to preparing the software stack has been covered. All that’s left is to grab a server and get your hands dirty! This article was published with the help of Hostinger.com. Earnings Disclosure: HostingFacts.com earns commissions from some of the services/products listed on this site. Read more.